Drops are everywhere, in industry, biology and nature, and their evaporation and lifetime is a fundamental question. When subjected to high temperature, drops levitate (a Leidenfrost state), and can be spun on suitable surfaces. 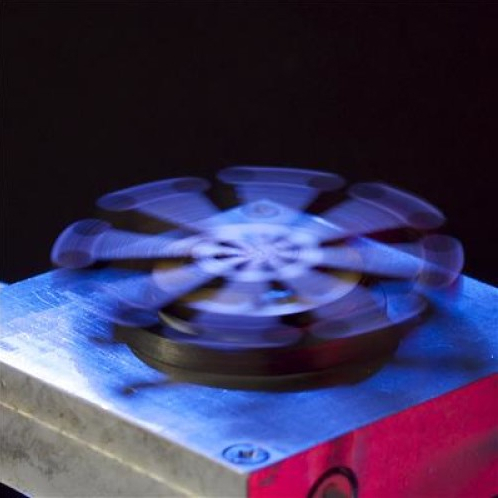 Extending this to dry ice discs allows us to use this ingenious principle to develop a new heat engine, generating power using levitating dry ice discs on hot plates. This new concept can help harvest energy in extreme environments such as space exploration: dry ice is abundant on Mars, and this concept is a unique approach in assisting future planetary missions. 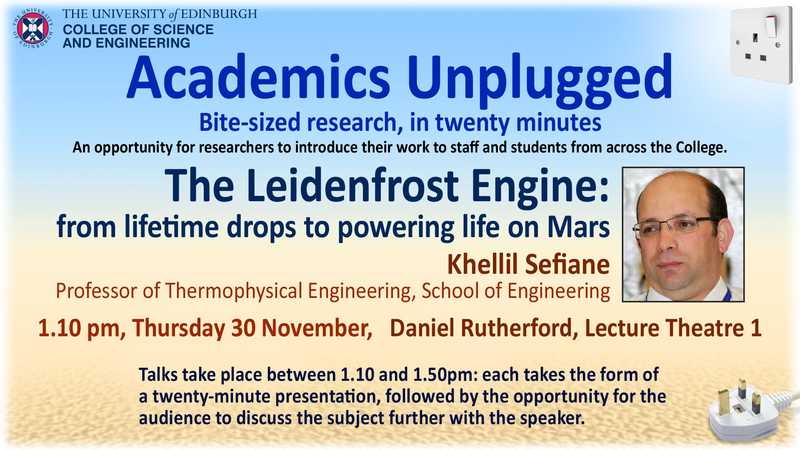 The talks take place between 1.10pm and 1.50pm, several times each semester on the King’s Buildings campus. Each takes the form of a twenty-minute presentation, followed by the opportunity for the audience to discuss the subject further with the speaker. Links to further information on the speakers’ areas of interest will be provided through the webpage below, so that you can delve into the subjects in more detail.